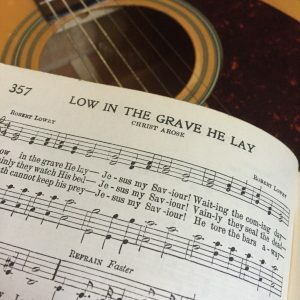 Singing Hymns in Parts With Guitars? I get nervous when I hear someone say something like “I don’t care for that instrument” or “I don’t like that genre.” There is merit in every genre and beauty in every instrument. To discount such a broad category of culture without a good deal of explanation indicates an insufficient understanding of the subject. These situations prevent great opportunities. For example, singing hymns in parts with contemporary accompaniment. It is a powerful idea that I wish I had more time to develop, but an individual who both plays guitar and sings using traditional harmonies is a rare find. These people have little time or opportunity to merge the two skills. We have an easy place to begin for putting this vision into practice. A modern contemporary arrangement of Be Thou My Vision that I’ve heard has a drone chord peddling throughout the first half of the verses (scale degrees 1, 2, and 5). If we sang in parts to this version over that pedal tone, it would be very lovely. This technique is not unprecedented in the least. Much classical literature uses pedal tones. They are a powerful way to create more pull toward resolution when used underneath a progression. Since these drone chords are common in both contemporary and traditional music, we have a very simple common denominator. We could use this idea to get people interested and begin developing the concept. But They Changed the Harmonies! It is important to consider technical objections when singing in parts with contemporary versions of hymns. For example, take this version of Be Thou My Vision. A common technique in contemporary versions is to substitute the relative minor chord in place of the tonic somewhere in the middle of a verse. When we are singing traditional harmonies with this change, we end up with a minor 7 chord, which is fine for either genre. However, the bass is likely playing the root of that minor chord. Traditional ears will likely consider this incorrect, and justifiably so since it destabilizes the harmony during a strong moment. The bass should be playing the 3rd of that chord, which is also the tonic. A properly balanced minor 7 chord would actually please everyone. This is just one example of how we can merge the two genres. There are solutions to every harmonic conflict; we simply must educate each other about the two genres. The melody can be accompanied by multiple harmonizations and there is no “correct” solution. 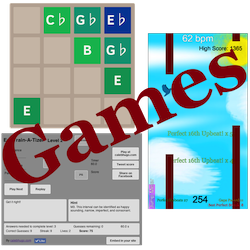 Any chord progression is likely to work with contemporary arrangements if the arrangement is orchestrated with the original harmonization in mind. Since the types of musicians that play contemporary styles well are masterful improvisers, they can adapt their playing to appropriately interact with their audience/congregation. All we need is an openness to hearing and understanding extended tertian harmony (i.e. that 7 chord we just talked about). I suspect that this opportunity rarely manifests since others who know only the old version are likely not singing. This beautiful merging of traditional worship with contemporary worship is completely workable. But we need a cultural shift toward singing hymns in parts from the congregation to make it happen. So next time you hear guitar and drums accompanying your favorite hymn, educate others with your singing. The accompaniment can change you if you allow it the chance. If we soften ourselves, stay ourselves, and insert ourselves, artistic musical expression during worship will deepen in ways you can’t imagined. God has made promises that are not only good to read, but good to hear. Quoting God in song should be a regular practice in our worship. Quoting God in song from memory is even better. Let us remind each other daily of God’s promises. You can start today by learning how to sing “How Firm a Foundation” in parts with some close friends. The term “joy” is often confused with the word “bubbly.” Joy runs deep and cannot be shaken. It’s a permanent state of contentment that is centered in Christ. It has nothing to do with how happy we are or what emotional state we are generally in. It’s fine to be sad. In fact it’s good for us. 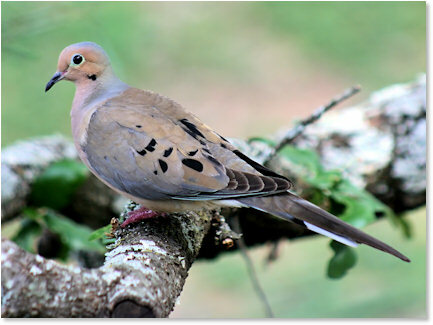 The mourning dove is on to something with the soothing sound it makes. We should listen and let our songs be sad too sometimes. It’s good for our hearts to sing sad songs. Here’s one: Go to Dark Gethsemane. Traditions don’t maintain themselves. They have to be passed down from person to person. If the ones who know a tradition are passive about transmitting the tradition to the next generation, then the tradition will pass into history. Church music is in a dangerous position here. Traditional music is quickly becoming historical music. It’s not the end of the world, but it’s still a big deal for such a big part of American Protestant culture to slip away into the past. I’m speaking to myself too here since I do know quite a bit about protestant musical heritage. We need to be teaching those around us about our music if it’s to last. We need to start Sunday school classes that teach people how to sing hymns. We need older folks taking initiative amongst their families to teach their children and grandchildren about the music that all of us should know. Maybe we should carol all year long instead of just at Christmas. Teaching causes learning; not the other way around. So let’s take initiative, teachers! This tradition won’t maintain itself. What a wondrous age we live in: The iPod, iTunes, YouTube, Pandora, Rdio, Spotify, Facebook. Communication technology that is completely customizable to our own individual likings. Windows into the world that filter out everything that does not capture our interest. If we don’t like what we see or hear, we can delete it, turn it off, filter out similar content, and take control over what we perceive. We’re finally getting what every person who has ever lived dreamed of: a life of complete control. A life where if we don’t appreciate something, we change it. It used to be that only kings and the very wealthy could decide what art they wanted to enjoy, and even then they had to wait for it to arrive. Today, if we want to see a Monet or hear a Beethoven, we just search for it and it is ready and waiting for our enjoyment. If we change our minds halfway through, no one is offended when we leave our private concert hall or gallery. We just push stop and we are happy again. This mentality has begun to creep into the physical world too, but we’re getting used to it. Students sink into their communication technology kingdom during class. Friends text their digital subjects while spending time together in the uncontrollable physical world. Although employees may not own the world they’re being paid to occupy, they may continually visit a world they do own while on their shift. A father may not have control over his children, but if he lets his children build and rule their own worlds through communication technology, Daddy can get back to controlling his. Some people may try to convince us that a personal and customizable life is not reality, but real life is generally determined by a conglomeration of experience. Digital life is real life in so far as it forms a part of this conglomeration. Digital life is not a different life, as many have tried to believe, it’s simply a different part of life–a powerful one that allows us to rule our own universe. No matter how much we attempt to separate the world we rule from the world in which we live, these two will always be intertwined. But I’m outside of my field. I don’t understand the effects of the digital world on relationships and the like. I’m not a psychologist. I’m not a pastor or a priest. But I am an artist, and I’m very concerned about the consequences of digital life for people’s aesthetic wellness. A sociologist’s (Sherry Turkle) views on the effects of communication technology. See below for the rest of this essay. For the most part, our communication technology kingdoms are only one part of our lives. We still have to travel, eat, sleep, participate in funerals and weddings, work on our houses, cut our grass, and the like. All of these things take place in a world outside of our control. We can’t help that the roof got old, we got tired, or we got hungry. But something we have gained almost inherent control of is the art we consume. For example, if we want to enjoy a fine meal, we either have to cook, pay for it, or let ourselves be at the mercy of a host. But if we want to listen to fine music, the Chicago symphony orchestra is at our disposal for no charge. Is it any coincidence that film, music, photography, and video games are the most popular forms of art? Our aesthetic world (at least for our favorite two senses) is completely under our digital control. Is it a simple coincidence that our favorite art forms give us complete control over our aesthetic environment, or is our preference shaped by our desire to be in control of our universe? To answer these questions, it is important to realize that beauty’s existence does not depend on our perception. A sunset is beautiful, not because our minds project beautiful feelings onto it, but because it imprints its own beauty on our minds. Unfortunately, we have come under the notion that “beauty is in the eye of the beholder.” Friends, that’s just not biblical. This notion implies that man’s projection of his own beauty onto God’s creation makes God’s work worth enjoying. However, the creation account makes it abundantly clear that the world was beautiful before man even existed. This becomes very evident when God says of his creation, “It is very good.” No matter how passionately our proud eyes try to project our own beauty onto the world we behold, the fact remains that beauty goes into our minds and not out from them. So then, how does complete control over our aesthetic environment affect our appreciation of beauty? Our aesthetic kingdoms are inclination amplifiers that cause us to gravitate even more strongly toward our hearts’ natural tendencies, but without accountability. They enable us to flippantly consume increasing amounts of what we enjoy without the bother of others’ insight. If beauty is defined by God, it is dangerous for us to gorge ourselves on object after object without another’s opinion about what we’re consuming. Ultimately, this leads to the most dangerous aesthetic wellness problem: letting ourselves consume only those aesthetic objects to which we are naturally inclined. The result is that we only consume art that aligns with our personal projections of beauty, while our projections slowly erode into aesthetic chaos. This is not God’s plan for our lives. 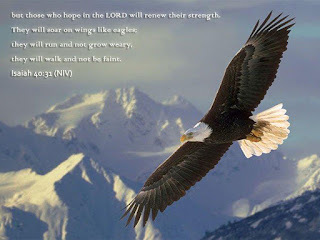 God does not want us to beckon beauty and shape it with our minds; rather he wants our minds to be beckoned and shaped by beauty (Romans 12:1-8, Philippians 4:8, II Corinthians 3:18). Finally, how does the complete control of our environment affect our community? Art is a tool to bring people together, but our communication technology kingdoms create reasons to keep people apart. Beckoning beauty through communication technology replaces aesthetic participation in our community. If we no longer need other people in order to be fed aesthetically, we won’t attend artistic community events. If no one attends, no one will create. This problem is compounded in light of our diminishing appreciation of beauty. Eventually everyone prefers his own narrow and unique brand of beauty and this drives us apart aesthetically. It’s naive to think the aesthetic world isn’t part of the real world. Aesthetic disconnection is a problem as real as any other. When we drift apart aesthetically, we drift apart. Plain and simple.